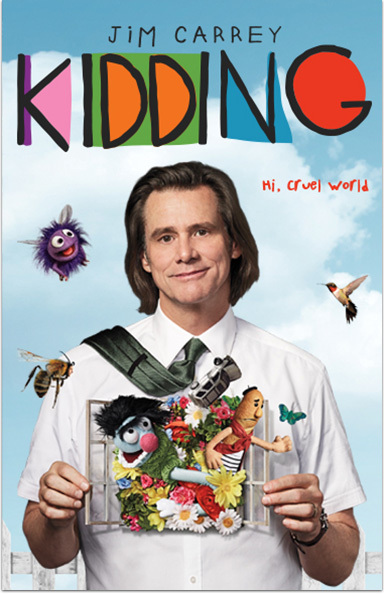 SHOWTIME® presents KIDDING, a wondrous new original series starring Golden Globe® winner Jim Carrey. Carrey stars as Jeff, aka Mr. Pickles, an icon of children’s television, who for the last three decades has been a beacon of kindness and optimism to both children and adults alike. But when his family life starts to unravel, Jeff discovers that keeping it all together isn’t as easy as 1-2-3. The result: a kind man in a cruel world facing a slow leak of sanity that begs the question – can you keep a good man down? Catherine Keener, Judy Greer and Frank Langella co-star. Kidding © Showtime Networks Inc. All Rights Reserved. Golden Globe is a registered trademark of Hollywood Foreign Press Association. SHOWTIME and related marks are trademarks of Showtime Networks Inc., a CBS company. You must be a subscriber of SHOWTIME to receive SHOWTIME ON DEMAND.